Want information on how to install a dormer window? Some homeowners choose to convert the attics in their homes into livable spaces that can be used in a variety of ways. 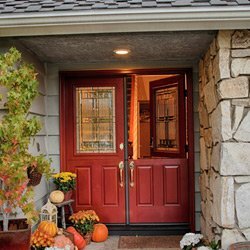 Not only does it increase square footage, it can boost the value of the home as well. Therefore, whether it’s intended to be used as a loft-style bedroom, a home office, or a fun place for the kids to hang out, a number of homeowners today are creating habitable spaces in the upper-stories of their homes. A dormer refers to the addition that juts out from the side of a home’s roof. Typically, dormer windows are a part of that extension. However, these two terms are usually interchangeable, because they’re always seen together. Since attics are basically dark and dreary, an attractive dormer window makes the inside of the home feel more open and light by letting the sun’s rays penetrate the room. It’s also aesthetically pleasing from the curb as well. Installing a skylight is another good option, but a dormer window will let both heat and light into the room without running the risk of getting a leak. Since a dormer window installation requires opening up a section of the roof of your home, building a frame, and creating support for the new window, it’s a somewhat difficult and complicated process overall that should only be performed by experienced experts who know what they’re doing. The following steps will give you a basic overview of the general process on how to install a dormer window, although every project will have their own specific set of requirements, according to This Old House. Accurately measure the space where the dormer window will be installed in the roof of your new home and sketch the new plan out on paper. Talk to an architect or general contractor about local building codes, permits, etc. Your new window shouldn’t interfere with other roof rafters. Keep in mind to for account for important materials like any joists or special materials that are required to support the dorm window. Sketch out the dormer window outline on the floor directly underneath the roof. Next, remove all the sheathing boards and material in the area where the window is intended to go so you can expose the rafters. Using your level, make a mark on the underside of the roof above the outline you made on the floor. Next, drive a number of nails directly on these marks to use as a guideline to determine where you should make your cuts. Start cutting the rafters of the roof to align with the outline you made on the floor. Now you should have a prominent hole in the roof where your dormer window will eventually be placed. Install the new roof rafters that are necessary to support the new window. Safely fasten them to the ridge beam and the top of your wall. Build the frame for your dormer window. Start with the corner posts and add the horizontal beams in order to connect the corner posts. Using joists, secure them to the roof rafters. Add more wall studs every 40 cm, or 16 inches, to connect the roof rafters to the horizontal beams. Construct the roof for your new dormer window by securely adding a ridge beam that will connect to the roof rafter, and then use standard rafters every 16 inches that connect the horizontal beams to the roof beam. The next step is to sheath the roof of your new window using wood and then add your choice of roofing material. 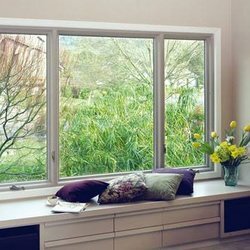 Install a quality, energy efficient window (double-hung, casement, etc.) with the Energy Star seal and add a window sill. The finishing step is to side the new window with shingles or wood. Also, include insulation to help save energy costs. When installing a dormer window, remember that the process and overall cost will primarily depend on the size, quality, and style of the window along with the construction of your home’s roof. Consult an expert before you try to insulate. It’s important to ensure that you have enough support for your dormer window and that the overall strength of the roof is in no way compromised at all. 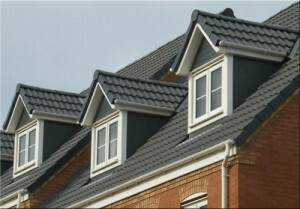 Complete your dormer window installation as soon as possible since the project involves making an opening in your roof. Come up with a good plan and know the exact steps you need to take as well as which order you need to take them. Since the window usually can’t be installed in just one day, cover the hole in the roof very securely in order to protect the interior of your home from the weather elements. You can build the frame of your dormer window in just one step. Now that you know how to install a dormer window, you can move onto other home projects you’ve been putting off.